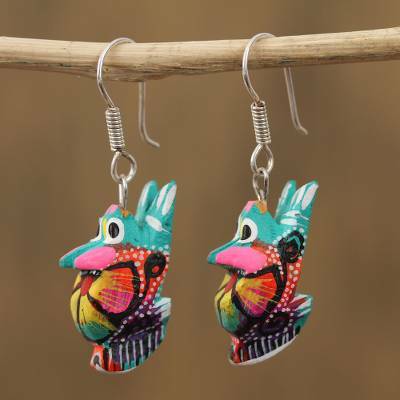 Floral Wood Alebrije Rabbit Dangle Earrings in Turquoise, "Vibrant Rabbit in Turquoise"
Hand-painted with floral designs over turquoise-colored bodies, two vibrant rabbits dangle in this pair of earrings from Mexico. 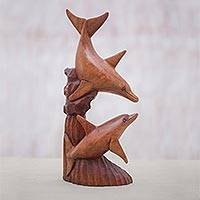 Artisans Antonio and Macedonia Fuentes design these earrings, which are hand-carved from copal wood in the traditional style of alebrije handicrafts. 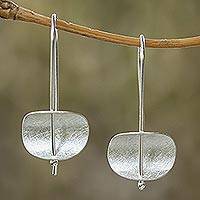 Each earring swings from a hook of sterling silver.